We support busy people to lead healthier, happier lives through simple, evidence-based changes to nutrition, lifestyle and mindset. I specialise in working with very successful, highly-functioning but over-stretched, over-stressed professionals and entrepreneurs who realise (or have been told!) they need to make their heath and happiness a priority. My clients are amazing individuals who are successful across all areas of their lives... but have let their health and wellbeing slide. We spend so much time managing our careers, learning and achieving professional excellence. Maybe it's time to put some of that insight and intelligence into designing and creating an amazing life? 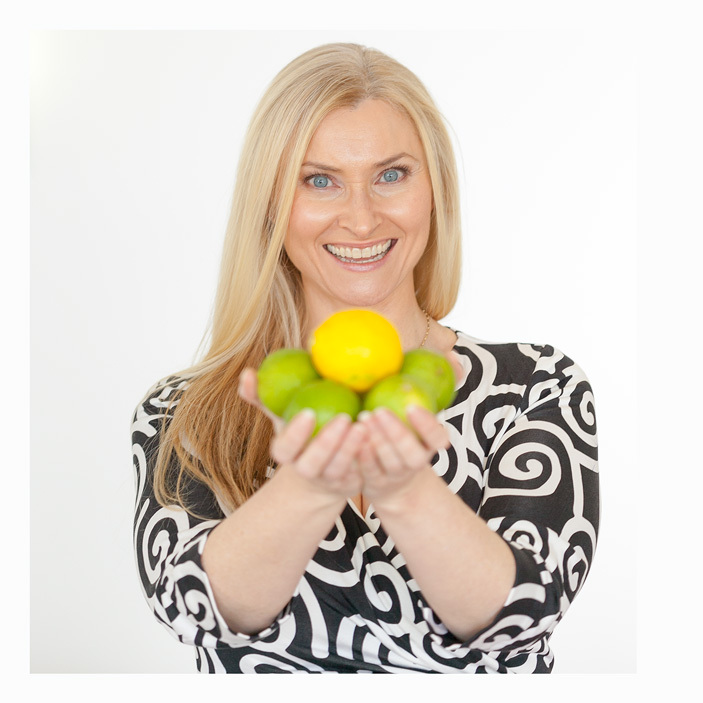 I specialise in helping exceptional people to live healthier, happier, more meaningful lives. I provide my clients with the information, accountability, guidance and support I wish I had received when I was a successful but exhausted workaholic lawyer who didn't know there could be another way. It is absolutely futile for you to retire with an eight figure net wealth and a drastically shortened lifespan (and health span) due to an accumulation of less than healthy habits. Health and happiness is the new success. Are you exhausted? Overwhelmed? Gaining weight? Not finding time to do the things that feed your soul? I understand the demands on busy professionals as I spent many years in your shoes. I know first-hand the pressures you face, the long hours and stress. I've been there. Done that. Got the t-shirt (and the hospital wrist band....). Do you think you need to make huge, disruptive, life-altering changes to create a healthier, happier life? Career success and vibrant health are not mutually exclusive concepts. You do NOT need to throw away your career or business, make drastic changes, or run away to live in an ashram to be healthy, happy and fulfilled. Your health and happiness is my priority. I will help you identify and implement small, smart tweaks to your lifestyle, and then embed them so they become a consistent positive habit. My approach is unique and specifically tailored to your needs and goals. My coaching is evidence-based, innovative and absolutely unique; designed to maximise the wellbeing of my clients, giving them competitive advantage professionally, and the energy and peace of mind to be fully-present and truly enjoy their personal lives. I create a supportive space for you to prioritise your physical and emotional wellbeing. You do not need to make expensive, radical life-changes to achieve vibrant health. Your health and wellbeing is impacted by so much more than what your eat. I'm here to shine a light on all of the ways we can make your life healthier and happier! Every one of my clients has different goals and different needs, driven by their age, health, family, career and so much more. For this reason I don't have a "one size fits all" program. To get the best results for my clients I take the time to understand their goals, lifestyle, health and myriad commitments, and together we work on a strategy to achieve - and most importantly maintain - their goals. I provide my clients with the information, accountability, guidance and support I wish I had received when I was a stressed, stretched, workaholic lawyer who didn't know there could be another way. My clients have many important, competing demands and limited time. I specialise in helping you choose the most effective use of their time, attention and money to yield the greatest benefit for their health, energy and wellbeing. I'm a meticulous researcher and I work hard to stay abreast of the latest research in nutrition, positive psychology and wellbeing. I'm not going to tell you to drink bone broth, snack on goji berries or any other un-researched, unsubstantiated woo. I work with successful, highly functioning, hard-working professionals, and I'm not going to push you to turn your back on your career and responsibilities and run off to Byron. What I WILL do is present you with options for achievable, evidence-based strategies specifically tailored to steer you in the direction of greater health and happiness. I will help you identify the things that work for you that will significantly boost your health and wellbeing. Working together, we will discuss your health (and life!) goals, your lifestyle and commitments, and together chart a plan for simple, effective changes that are designed to accumulate and build over time. During our sessions you will choose a succession of small areas for change, which cumulate over the course of our program into powerful positive changes. First, we look for the "low hanging fruit"; the things you can easily change right now to boost your wellbeing. Then we focus on your longer-term goals and dreams. We discover what you would like your ideal life to look like, we assess where you are now, and we work on closing the gap between your reality and your dream life. They key is to make sustainable changes - ones that stick - and stay out of the vicious cycle of progress followed by backsliding and berating yourself for "failure". I will help you identify and implement small, smart tweaks to your lifestyle and embed them so they become a consistent habit. And I specialise in making this happen for my clients. When it comes to food, I don't have a set-in-stone food or diet philosophy. And even if I did I would never force it on you or tell you that my way is the only or the best way to health. You're paleo? Vegan? Gluten-and-dairy-free? Hate mushrooms? Cool. Awesome. I'm not going to lecture, scold or issue you with a stern ultimatum. It's your body and your choice. My role is to provide you with solid evidence-based information - so you can make informed decisions about your diet and lifestyle choices. We'll dig into your diet and lifestyle, see what is working and what we can tweak to make sure you are at your healthiest and happiest. Career success and vibrant health are not mutually exclusive concepts. You do NOT need to make expensive, radical life-changes to achieve vibrant health. You just need to make some small, smart tweaks to your lifestyle and embed them so they become a consistent habit. And I specialise in making this happen for my clients. Your health is too precious to entrust to an unqualified "wellness guru/health blogger" with an Instagram feed full of attractive selfies. You deserve a dedicated, qualified professional with the skills and expertise to guide you through the process of manifesting lasting positive change. As a lawyer, my clients were my number one priority. I bring this same level of dedication to my health coaching clients. You can expect that I will research your needs and the strategies I recommend as carefully as I researched my legal matters. To get the best results for my clients, I take the time to understand their goals, lifestyle, health and myriad commitments, and together we formulate a strategy to achieve - and most importantly maintain - their goals. Confidentiality, respect, accountability, meticulous research and working in partnership with my clients to get the results they need are hallmarks of the service I provide. Your clients and colleagues will start noticing little things: staying cool when "it" hits the fan, you've lost a few kilos (and then a few more! ), you're less irritable, your secretary likes you better. The people you love will DEFINITELY notice! You will learn how to create the time you need to create memories. You won't be perpetually exhausted and irritable. Your fuse won't be so short. You will have more energy to do the things you want to do, and you will look better in - and out - of your suits. If you are a busy, highly functioning professional, I know the good, bad and ugly of your life. I know you would like to be able to make more time to prioritise your health, and for the important things in life - but I also know that you have significant responsibilities and commitments. I know your time is limited, so we will together identify the best use of your time to achieve your goals. There'll be no cray BS turn-your-life-upside-down changes. My clients receive specifically-tailored, evidence-based recommendations and we focus on small, simple sustainable changes that build, one upon the other, to create big and lasting change. The money you spend each month on supplements, superfoods or shakes may in fact be better spent elsewhere - on a personal trainer, meditation training, or extra fruit and veggies in your kitchen each week! I CARE ABOUT MY CLIENTS so we are going to get to the bottom of ALL of the things that are standing in the way of your healthiest, happiest life. If you are self-medicating, self-sabotaging or on the brink of complete catastrophic burnout, I will stand shoulder-to-shoulder with you while we get you back on track. You are open to advice and direction from me, and are willing to explore my suggested changes. You have a serious medical condition (including depression) and aren't willing to work with a qualified professional on a regular and consistent basis. My books are open only to a select number of clients. I provide a dedicated, premium service to professionals who understand the importance of investing in their physical and emotional wellbeing. I'm based in Sydney and I work around my clients' busy schedules. I can do Skype and telephone consults, but really I'm old-school and I genuinely care about my clients. I prefer to be in the same room and be able to look you in the eye, and really see what is going on with you. Because that way I have the best opportunity to help. I can meet you at your office, your home, Sydney CBD or my home-office in Coogee. And there really IS a better way. Please email me at jenna [at] healthyhappywonderful.com or use the Contact Form if you would like to discuss my unique approach and my coaching packages.